Instead of launching into the normal introductory first blog post, I thought I’d write about something more meaningful; our nation’s grub (see the about me page if you do want to know more about me!). 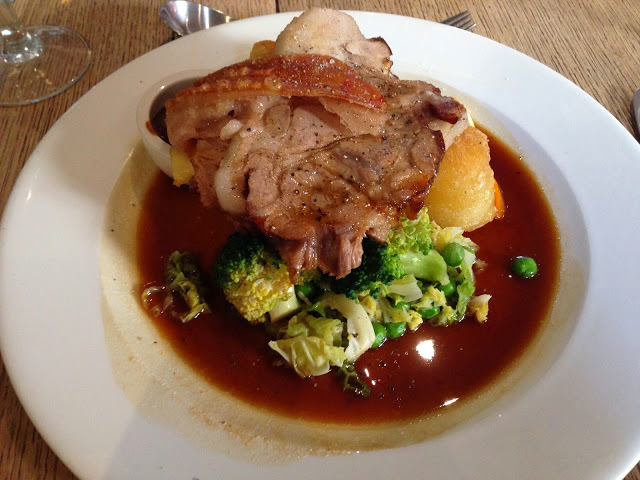 What a scrummy English roast dinner from Deesons British restaurant in Canterbury. British Food Fortnight began on the 20th September and finishes this week on the 5th October (gosh where has time gone). I know I’m a little bit behind, but I thought since i’ve just started this blog, why not make my first recipe a celebration of British food: pie! The Hairy Bikers love them, and so do I (also my fiancé will be really happy!) So tomorrow you can expect a pie recipe to pop up here – please do try it and let me know what you think. It all began in 2002 around the same time as the Harvest Festival, after the nation realised there was no event to celebrate our English food heritage. British Food Fortnight does this is in all its glory, and celebrates fresh, seasonal and regionally distinct food. You can also get involved in BFF. See British Food Fortnight’s list of 14 ways to do so. Let me know if you do get involved in anyway!